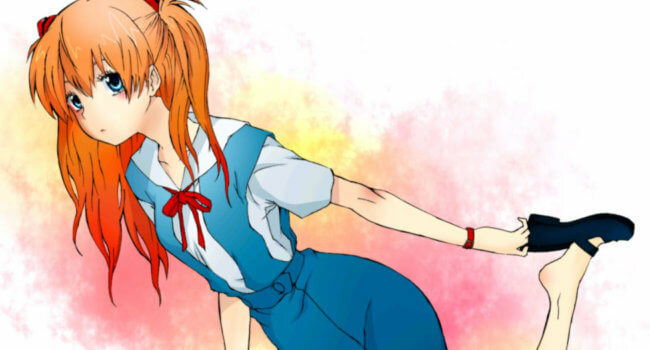 Asuka is one of the two female leads in the anime series Neon Genesis Evangelion, as well as the Rebuild of Evangelion movies (where her last name is changed to Shikinami). Asuka is the Second Child and pilot of Evangelion Unit-02, a teen of mixed heritage who was raised in Germany and is known for her callousness, narcissism and fiery temper. While Asuka may be rough around the edges, it’s actually a facade that she keeps up to hide her insecurities and low self-esteem, a result of an incredibly tragic childhood. As such, Asuka is well-known as one of the codifiers of the “tsundere” archetype, as shown by her interactions with main character Shinji throughout the series.